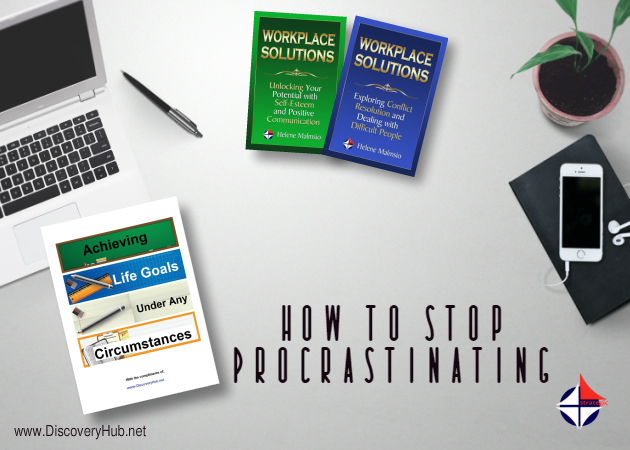 In this section you will learn how to stop procrastinating NOW and to take charge of your life. Don't waste another minute, get yourself on the fast track with these powerful tips and activities showing you how to break a habit of procrastination! Do you find yourself constantly putting things off until later? Or you start working on a task but decide to take a few minutes to watch television, and never get back to the task you should have been doing? This is procrastination, and it can be one of the main reasons why we don’t achieve our life goals. The definition of procrastination is putting off tasks or actions until later. We have all done thisc- we know what we should be doing, but just can’t seem to get started. You might have an assignment to write for a college course, so you resolve to sit down and work on it for a couple of hours. You make a start and decide to check your emails. You get distracted by a certain web site, which you suddenly decide you will check out before starting work. You turn your thoughts back to the task in hand and work for a few more minutes… and decide you need a coffee. Before you know it, two hours have gone by and you have only written a few lines! Or you have an important task to do for work but just can’t seem to get round to doing it, you know you should be making a certain phone call, but reason that you will do it after lunch. Then something else comes up and it’s too late, so you resolve to make the call tomorrow morning. Before you know it, it’s too late and your boss is on your case. Procrastination is either putting things off which you know you should be doing or doing other, unimportant tasks instead, therefore delaying the task in hand. It can be very damaging, resulting in not meeting commitments, loss of productivity, and feelings of low self esteem, stress and guilt. In more severe cases, it could even cause business failure, loss of employment or the break up of a relationship. While we all tend to naturally procrastinate to a certain degree, in some individuals it can become such a problem that it stops them functioning from day to day. In these cases, there may be an underlying psychological cause, such as depression. This cause may need to be treated before the procrastination can be addressed. Procrastination is thought to be our way of coping with natural anxieties which may occur over starting a task or making a decision. We are unlikely to get it wrong if we never start it! It is also a part of human nature to put off a task we find unpleasant or boring, or one which we know will be difficult. A lack of self belief and self esteem can also lead to procrastination- if we do not believe we deserve to succeed in something, or don’t feel we are able to succeed, we won’t be motivated to work towards it and our subconscious mind will direct our thoughts and attentions elsewhere. Perfectionists also tend to procrastinate, as they impose high standards on themselves that they may subconsciously feel they cannot meet. They may also find it difficult to know when a task is complete. It can be hard for procrastinators to seek help, as they may fear being labeled as lazy or lacking willpower. People tend to think that they should be able to ‘pull themselves together’- however procrastination is a real condition which can have very damaging consequences. It is possible to overcome procrastination however; you will find some useful ideas in this report. Is The Habit of Procrastination All In The Mind? Procrastination may very well be linked to low self esteem. If we doubt our ability to complete certain tasks, or achieve certain goals, our subconscious will make sure we don’t. We won’t feel motivated to work on the task and if we try to make a start we will be tempted to stop and do something else instead. Similarly, if we don’t believe we deserve to attain something, our subconscious mind will stop us from having it. Deep down we are projecting the message that we don’t deserve it so our mind will act in accordance with this belief. We are often not even aware of this. We may even start to make some headway at first, and then suddenly it is as though we start to sabotage our efforts and we come to a standstill. This may sound a little odd, but you may also be procrastinating because you fear success! We think we want something else out of life than what we currently have, but the thoughts of getting there can be scary. We may subconsciously worry what we will have to give up- if we get that promotion, will our colleagues still talk to us? Will we be able to handle the additional responsibilities? A lot of people react badly to change, and it is far easier not to bother and stay in the situation you are in and which is familiar and comfortable. If any of these reasons are causing you to procrastinate, you will need to deal with this cause before treating the procrastination, which is only a symptom. Learn to develop your self esteem and work on your self belief. You may benefit from some counseling to overcome these, particularly if the feelings are deeply entrenched. You will need to try to identify the thoughts and behaviors that are causing you to procrastinate and learn how to overcome or control these. You need to set a deadline for each task or action which needs completing. If there is no timescale then there is the temptation to put it off indefinitely. Setting a deadline gives a greater sense of urgency. If a task is too big, we can feel overwhelmed and are tempted to delay starting it. Decorating your entire house or starting your own business are huge tasks and it can be difficult to know where to start. The key is to break the task down into smaller steps which immediately make it feel more manageable. If you are starting a business you may set a task to research your business idea, another task to learn what skills you will need and so on. If decorating your house, you may choose to break it down to doing one room at a time. When we undertake any task, we often find ourselves distracted by things such as the internet or a good book and we are tempted to abandon the task in favor of these. Try to schedule in special time for these distractions- work for two hours and schedule 15 minutes reading time afterwards. Or schedule in a long soak in the bath at 9pm. Allow yourself this scheduled time to simply goof off. Knowing that you have time set aside for leisure makes it easier to stick to the task you are trying to complete- and you will appreciate your leisure time all the more knowing the task is either complete or in hand. Procrastination can sometimes arise due to a lack of direction; we are not quite sure of what we need to do to complete a certain task, or we start it haphazardly and lose focus. Avoid this by planning each task step by step, making a commitment to start and finish each step at a time. 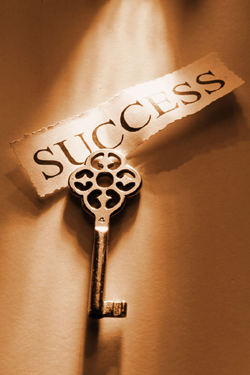 At the start of each day, list each task or action which needs completing, and prioritize them in order of importance. Make a commitment that you will complete each task before starting the next- crossing out completed tasks is great for motivation and morale! You could adopt this or make up your own. Every time you are tempted to put something off, say your slogan out loud… and just do it! We often put off tasks which we know will be unpleasant or difficult, for example we may need to talk to our spouse about a relationship issue, or make a tricky phone call at work. Putting them off never makes them go away or get any easier (often quite the opposite!). You know you have to do them but instead you waste time by doing other unimportant tasks and before you know it the whole day has gone. You have a feeling of dread which makes you feel bad and so you end up not completing anything worthwhile. The trick is to do the ‘nasties’ first- don’t think about them, just get stuck in. I always find that a lot of tasks I am dreading turn out to be a lot easier once I just make a start. It also makes me feel good about myself and motivates me to complete the easier tasks on my list without that sense of dread hanging over me. Try it! There may also be some tasks which you know deep down you will never complete. Can you simply remove them from your list? Are they essential, and if so could you delegate them or hire someone else to do them? Seeing tasks on your list which you know you are never going to complete is not good for morale. Maybe there is a certain task which you have been putting off for a while. This will usually be a fairly large task such as clearing your house. After you have spent some time planning smaller steps (for instance, clearing one room at a time), try this powerful technique. The trick is to commit to spending just ten minutes on it. That’s right- just ten minutes. Spending this small amount of time suddenly feels achievable, and after the ten minutes is up, you will probably feel motivated to carry on. If not, schedule in another ten minutes later or the next day. You will be surprised at what you can achieve in ten minutes of concentrated effort. A variation on this is to allocate an hour to a certain task. Set your watch or alarm clock to tell you when your hour is up. Give yourself a small reward when you have spent an hour of concentrated effort on the task- decide you will watch a show or read a chapter of your book. This is a great technique if you are constantly distracted by television or surfing the internet. Sometimes it can be useful to work backwards from what you want to achieve. For example, you may want to look for a new job in a different field. Can you do that right now? No- you have to gain a new skill first. Can you do that right now? No- you have to find out where you can learn this new skill. Yes- you can go on the internet and find courses or make a phone call to an acquaintance who has already studied this skill. If you find you are constantly checking your email or going onto a social networking site such as Facebook, don’t have these applications open. Get into the habit of only checking your emails twice daily. Turn off the notification of a new email facility so you won’t be tempted to open it straight away. You could always give yourself 15 minutes on Facebook as a reward for completing a task or an hour’s work. If you find yourself surrounded by scraps of paper, letters and reports which you never get round to dealing with or filing, try the paper test. Every time you pick up a piece of paper, mark it with a pen. You will probably end up with loads of marks on some of the sheets. It is amazing how much time we waste picking up papers and shuffling them around instead of dealing with them and filing them. Aim to have no more than two marks on each sheet of paper. Always make sure you plan some leisure time into your day. You need to maintain your work life balance- if you are trying to work constantly then you will lose motivation sooner or later. Some time out to relax or enjoy a past time will leave you feeling fresh when you get back to working on a task. It can be very difficult if you are self employed or working from home. There are no colleagues to chat to, bounce ideas off or encourage you to get tasks done. The onus is on you to motivate yourself to work. Added to this are the hundreds of little distractions in the home environment- you suddenly notice household jobs which need doing, or your thoughts turn to your bookshelves or magazine racks- or even the television. The temptation to think ‘I’ll just vacuum this room and then I’ll get back to work’ can be overwhelming. The key is to have a very definite and separate work area- ideally a separate room if possible. Make it feel like an office- make sure you only have things relating to work in there so you cannot see anything else which may distract you. When you are in that space, you are at work. Equally make sure you go out of the room to take a proper break for lunch etc and make sure you finish on time. How can you motivate yourself to complete a task? Try a little visualization here… imagine how good you will feel once the task is done. Feel the relief of knowing you have completed something difficult or unpleasant. Imagine those feelings as intensely as you can. Every time you are tempted to waste time, close your eyes and feel them again. Your subconscious mind will create a desire to fulfill these feelings and will motivate you to complete the task. Can you enlist someone else’s help? Maybe you could tell someone you trust about the task you aim to complete and when you need to have it done by- a kind of ‘procrastination partner’. That person could hold you accountable, and give you a gentle nag if you haven’t produced the goods. In turn, you could also hold them accountable to tasks they have been putting off. Use this on with caution though- it could affect your relationship with that person if you start to resent their nagging- or they resent yours! Make sure your timescales are realistic- don’t be tempted to set an unrealistic deadline, such as trying to lose 50lbs in one month, or you will struggle. We are all human, and one of our biggest motivators is receiving a reward. This is a hugely powerful technique and can often be enough to stop procrastination for good on its own. The trick is to give yourself a reward for completing each task or step. This could be something simple like a cup of coffee or 15 minutes playing your favorite online game (so long as you can stop at 15 minutes) for working for an hour on a small task, to bigger rewards for more complex tasks. Completely clearing and cleaning the spare room may be worth taking yourself out to dinner, for example. Gaining that promotion at work because you put in the extra effort may be worth booking a holiday. Promise yourself a couple of new outfits when you have lost enough weight to drop a dress size. If you know you are going to be rewarded for completing tasks you will feel much more motivated to start and then complete them. Of course, completing a task will also increase your self esteem and your confidence to complete more complicated tasks. An effective way of stopping your procrastination is to focus on what it is costing you. For example, put off completing your tax returns or paying the bills and you will receive fines or charges when they are late. Put off those work assignments and you may get overlooked when promotion time comes round. Examples like this are pretty clear, but our procrastination may also be costing us in other ways we are not even aware of. Put off tidying your desk until later and risk losing that important piece of paper you need to complete that task or make that phone call. Don’t get round to taking your library books back in time? Those overdue fines can sure add up. Putting those household repair chores off can cause the problem to become worse and cost a lot more time and effort to eventually fix. Know you should be eating healthily and starting an exercise routine but never get round to actually making a start? The cost could be diabetes, high blood pressure or heart disease. Say hello to cardiovascular disease and cancer. Always late handing in those college assignments? The cost may be lower marks or even failing the course. Putting off work tasks may mean you have to work late to catch up and lose out on your leisure or family time. Does your car seem to have developed a fault, but it’s a chore to arrange time off from work to take it to the garage, so you keep promising yourself you will take it next week? I did this, and when I did eventually take it the mechanic told me if I had left it longer the problem could have been potentially very dangerous. My life could have been the cost! Put off having a discussion with your partner about something which is annoying you and risk getting to the point where you eventually lose your temper and end up having a huge row. If you are unhappy with aspects of your life, but never seem to get around to working out what you want instead and planning how to get there, the cost will be staying as you are- stuck in that job you hate, never having the money you need, staying overweight or whatever else you are currently unhappy with. Take a few minutes to complete a little exercise- now, while you are motivated- make a list of all the things you are putting off right now, no matter how small. Now, write down the cost of putting each task off. This might be what they are already costing you, or what they could potentially cost. Hopefully you will feel angry enough to get started on some of those tasks right now! This method really does bring home how procrastination is robbing you and holding you back from achieving your life goals. Procrastination is a common problem, and you may never completely eliminate it. 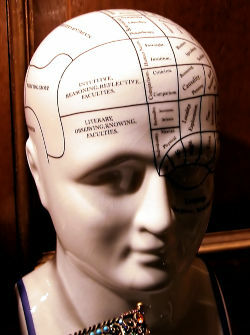 However, using the above techniques, it is possible to manage it and minimize its effects. Don’t let procrastination rob you of your life goals. Have you ever had a moment (or maybe several) where you focus on how unfair life is? Maybe you’re talking about your own situation, or someone else’s, but you think about how everyone had a dream at one point in time – and only a select few achieved it? Life goals are something just about everyone experiences during their lifetime. As a young child, you have career aspirations. As you grow older, your personal preferences develop and you have fleeting moments of focusing on the possibilities of how your life could turn out. Then, you simply go back to the path you were on. Why is that? Sometimes, it’s because we have circumstances in life that we allow to serve as our obstacles that come between us and our dreams. You can achieve anything you want, regardless of what you’ve been through, are going through, or may face in the future. All you need is a new perspective and the willingness to face the situation and work on your goals in spite of it. In time, working through these obstacles becomes second nature and you won’t bat an eye when and if something occurs that hinders most people. To you, it will be something you simply navigate around. But it takes practice and it’s not a comfortable thing to do. As long as you know that going in, it makes it a bit easier to endure the discomfort as you educate yourself on how to handle the difficult circumstances. 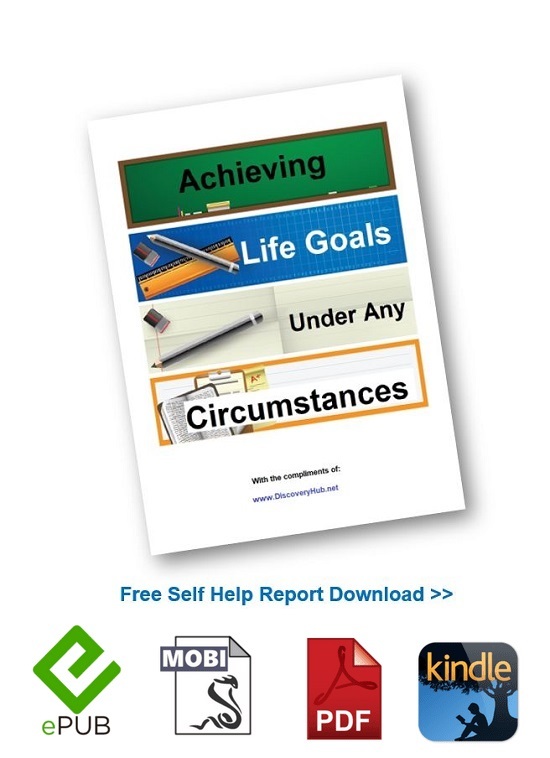 In this free self help book download the steps are laid out for how to start achieving those lifetime goals that have eluded you so far. Just CLICK HERE >> and click right mouse button "save link as" to get the zip file on your dashboard, with the report in three ereader formats, so you can read it on your laptop or print it out, on your smart phone as you commute to work, or on your kindle reader. 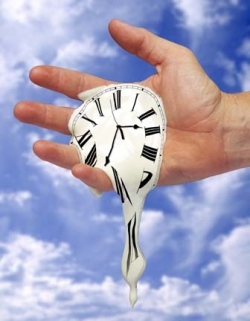 Procrastination- What's It Costing You?